Antonio Conte’s relationship with Chelsea has never seemed like a long-term love affair. In his little over a year at Stamford Bridge, he may have won the Premier League, but things haven’t been plain sailing working under Roman Abramovich. When the Blues lost back-to-back games against Liverpool and Arsenal in September 2016, it looked as if the club could part ways with the Italian. He soon turned that round by switching to a 3-4-3 formation. The summer brought problems of its own, however, as there were evidently tensions over transfers. Nemanja Matic joined rivals Manchester United, with Danny Drinkwater brought in as his replacement from Leicester. Chelsea also missed out on Romelu Lukaku, Alex Oxlade-Chamberlain, Danilo, Alex Sandro and Fernando Llorente. 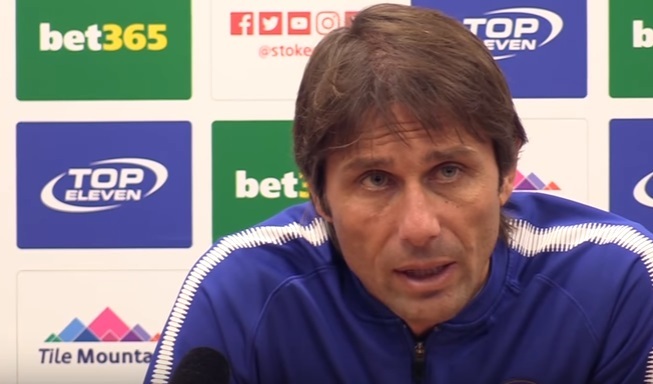 In terms of his immediate future, there’s little question Conte should be in west London for the rest of the season, barring any major slip-ups. Yet, in an interview with Radio Anch’io Sport, he has hinted he wishes to return to Italy relatively soon as he doesn’t intend to manage abroad for much longer. “I have a longing for Italy, that’s beyond any doubt,” he said. “It’s not in my head to stay abroad for too long. It’s good to have beautiful experiences, but I intend to go back to Italy one day. “China? No, absolutely not. Bundesliga? It’s always difficult to predict the future. Let’s just say that a Coach is a temporary worker. “It depends on the results, but there’s desire on my part to try to do the best I can, finishing one project and then finding the right one to continue. I miss Italy, that’s a fact. “Still, this experience is helping me so much. I’d also like to become a sporting director in the future. Conte’s family did not join him in England for his first season in charge. These comments don’t bode well, and managers working with Abramovich usually receive an unhappy ending.